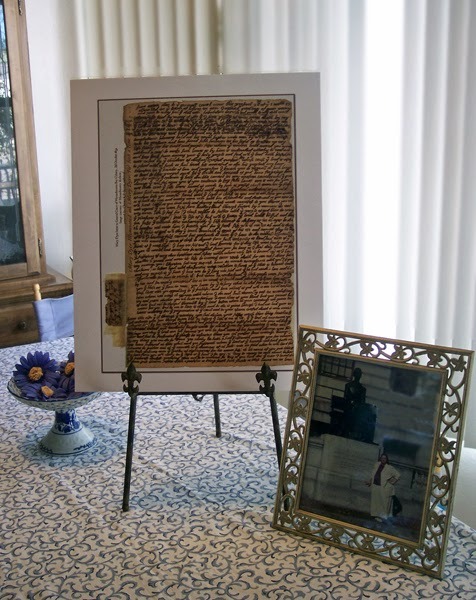 Mary Dyer letter inside my 16x20"
Printed in high resolution on glossy photographic paper at the 16"x20" size with a golden brown outline and white border, Mary Dyer's handwriting appears to be actual size. Unlike the low-resolution photo here, the poster is sharp and easy to read. 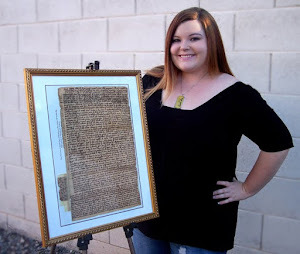 With your purchase, you'll receive a transcription of the handwriting on an 8.5x11" page. 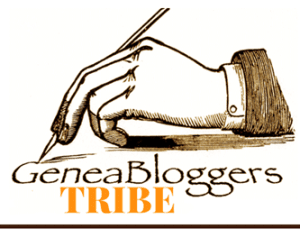 Beware--its content is not the same letter you've read in genealogy pages or other books about Mary Dyer. Those letters were rewritten after her death, to serve a different purpose. next to an 8x10" framed photo. These are Mary's words, unedited, uncensored, in her own hand, and they give you a new perspective of her thoughts on the day before she expected to be hanged. The story of how Mary's original text was rewritten--and replaced for 350 years--is posted HERE. 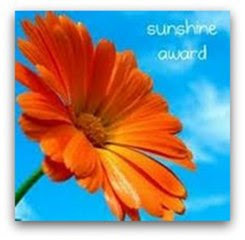 These lovely prints are suitable for framing for your office, family room, or classroom. Once protected by your poster or picture frame, the students in your home can take this to school to show in class. You won't find this in any museum or gift shop: it's exclusive to this site. ALSO! 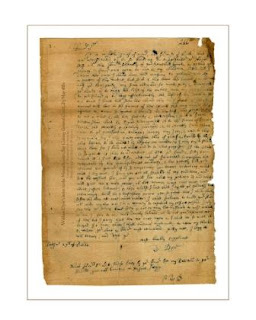 A matching poster of William Dyer's May 1660 letter to the Massachusetts Bay Court, begging the life of his wife Mary. The original letter was scanned at the Massachusetts Archives as 40MB tiffs, and is printed in high resolution on 16x20" glossy photographic paper. The letter is about actual size, surrounded by a golden-brown outline and white space that will resemble a mat when you've framed it. Use the Buy Now button for debit, credit, or electronic check, via secure PayPal. Be sure to indicate WHICH LETTER, Mary's or William's, you want, or if you want the matched set. I have this poster, and mounted it with a small frame, and display it on an easel. It's in my home office, where I do my family history research. Right after I ordered the poster, I received a confirmation email, and the poster arrived a few days later. Thank you! 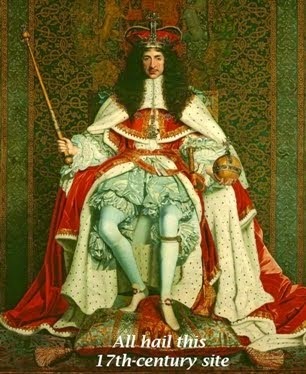 I bought this wonderful poster and it is framed and over my desk but unfortunately I have misplaced the translation! Is there a way I can purchase just the translation? It is so difficult to read that without the translation to hand it looses a lot! I'm glad you love it, Patricia. I'll email you the transcription. Maybe you could put it in a plastic sleeve (like for a 3-ring binder) and thumbtack it to the back of the frame. Thank you Christy. I will do that first thing! So glad you love the pair of letters, Charlotte, and happy that you took the time to write a testimonial here. Hi, Terry. You can make the quantity 2 posters, and there's a place to message the seller (me) about special instructions, which is how others have told me. I've also changed the menu options to reflect a choice: to order either of the letters, or both. I think it will be clearer now! Sorry but I am not paying for history that belongs in my family. 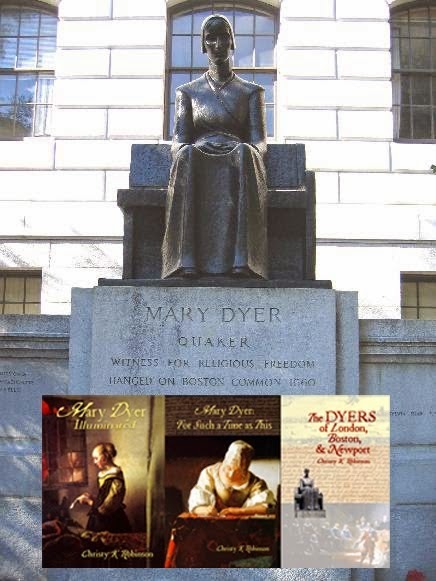 I am related to Mary Dyer and I am interested in the letters, but I won't pay for them. That's your decision. I'm a descendant, and they weren't free to me. It cost me months of time finding them in different archives, writing multiple emails and making numerous long distance calls to ask for them to be digitally scanned, and I paid more for the original scans than I'm asking of customers. The files were too large to even open on my computer. It took hours to analyze and transcribe the 355-year-old writing and spelling. I spent hours formatting and designing the letters to fit an affordable frame, and it costs me significant cash to have them printed, and for the postage and mailing tubes--which doesn't even account for my time running around to the printer, office supply, and post office. I'm not profiting on these posters--I'm breaking even. I'll be glad to fill an order if you reconsider. Sounds like you've earned every penny, Ms. Robinson!